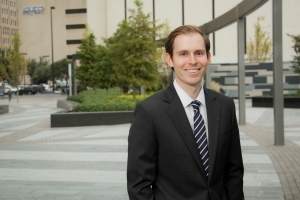 GableGotwals Welcomes James Scears as a new Associate at the Tulsa Office. James M. Scears joins GableGotwals as a new associate in the Tulsa office. He will focus his practice on tax law, as well as estate and trust planning. Scears returns to Oklahoma after practicing law in Zurich, Switzerland, where he focused his practice on private wealth management, international taxation, and estate and trust planning.